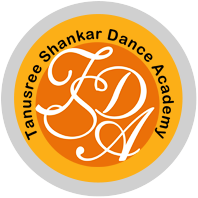 The dances choreographed by Tanusree Shankar are based on the technique of New Dance, following the path shown by Uday Shankar. This particular style has its roots deep in the spirit of India. The dances are Indian in origin and spirit, modern in presentation and universal in appeal. No number is based on any pure classical or authentic rigid style of dance – they are all creative. For Transition, Senior and students of Advanced Section, we conduct weekly open classes in Marga Natya, which is a reconstructed way of presenting Bharatmuni’s dance and music tradition, as prescribed in the Natyashastra, It is an expression of highly systematized dance language which combines technique with transitional and transcendental reasons behind every movement. Students from Junior class onwards are provided training in yoga. It helps not only to keep their body fit but also to develop focused thoughts and positive attitude. For ladies, both home makers and working women, special classes are held every Tuesday from 6-7 pm initiating them into the world of “Uday Shankar Style of Dance’.